Horse Latitudes is a play that pitches the white history of the frontier West against a cacophony unheard voices and perspectives. Set in the Interior of British Columbia during the early 1970’s, a white archeologist and an Aboriginal woman battle to define the very ground they stand on while their teenage daughters form a tentative alliance. When the mothers try to keep them apart, the girls rebel, steal a car and set out to do some exploring themselves. 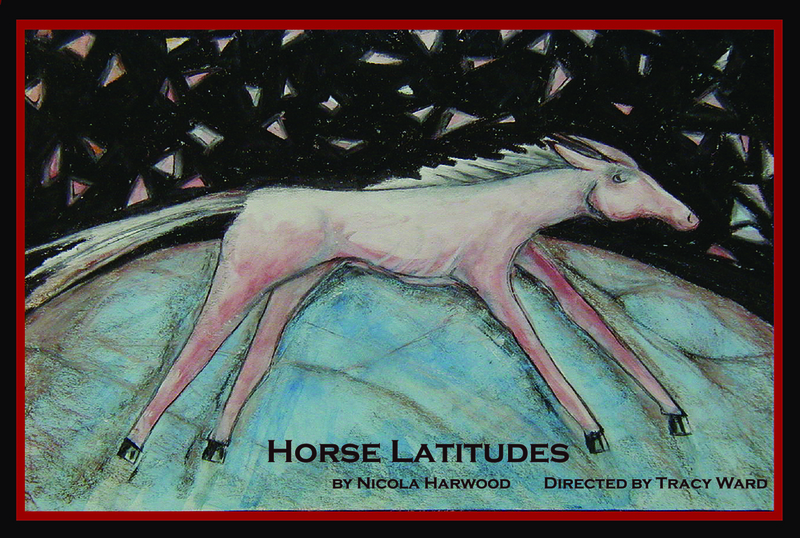 Horse Latitudes received it’s first production at Jon Sims Center for the Arts in San Francisco in May 2002 with Tracy Ward directing. It was subsequently workshopped at the Playwright’s Theatre Centre in Vancouver with Sue Astley directing. Horse Latitudes was published in the online literary journal, Lodestar Quarterly in September 2002. The playwright would like to acknowledge the contributions of First Nations women and men who shared their stories and insights with me including Phyllis and Andy Chelsea, Helen Sandy, Kristy Palmentier and Marie Clements. The playwright would also like to acknowledge the Alchemy Program for Emerging Playwrights at the Jon Sims Center for the Arts in San Francisco and the Playwrights Theatre Center, Vancouver, BC for their valuable contributions to the development of this play. Horse Latitudes is dedicated to my step father, Dave Jones who believed in racial equality long before it was popular. It is also for Phyllis Chelsea of Alkali Lake Band whose determination and vision has led so many people out of chaos and into clarity. Peace.